Gosh, I have way too much hair, dont think I could survive with combs only hahaha. I have been thinking about getting one of these brushes! 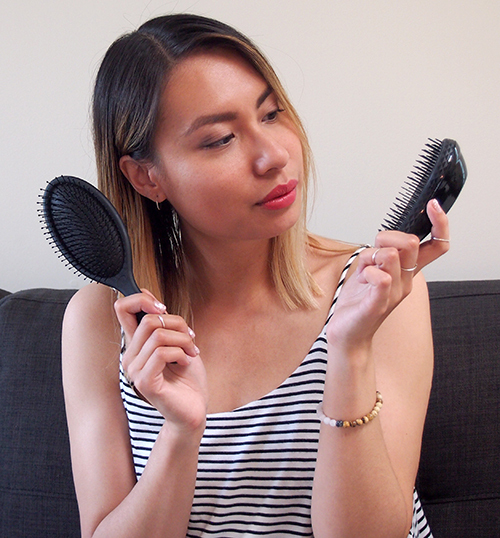 I was introduced to the wet brush a few years ago and it has seriously been such a life-changer. My hair is delicate but easily-tangled, so the wet brush has been so helpful in keeping my locks in check. I'm seriously so impressed with it. I can't stop brushing my hair! I've heard such good things about the wet brush! I have one sitting on my desk at work. I've never used it but I should give it a shot!